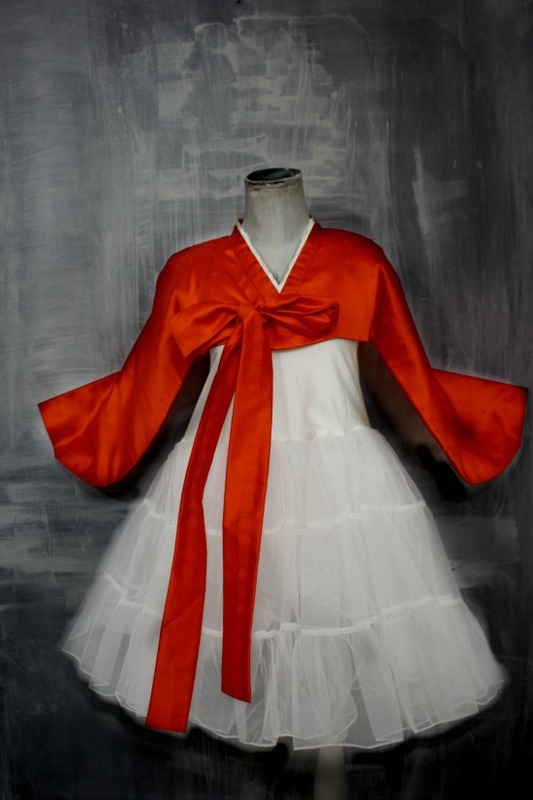 Poetry in Korean Silk: a vintage Hanbok cropped jacket in Chrysanthemum Orange. SHOP NOW. has sobbed since spring, perhaps. Poem by Korean poet Midang So Chong-ju. All photos by the Citizen Rosebud. has pealed in dark clouds, perhaps. while I could not get to sleep. Somehow the way a pale January sky reminds me of a watercolor sketch, a bright colored vintage silk jacket provides the antidote to the bloodless gray of a winter day. Like a spring bulb readying its burst through the soil, preparing her blaze of color as a herald of spring, I find wearing a vintage silk or satin Asian jacket to be just the right amount of jolt to liven things up. When I took these photos of a vintage Korean hanbok jacket (cropped and flattering to almost every waistline!) it reminded me of an orange chrysanthemum flower warming up the soul in the midst of a gray winter day. So it seems fitting to celebrate the poesy of bright silks with a poem. How are you adding color to your day? 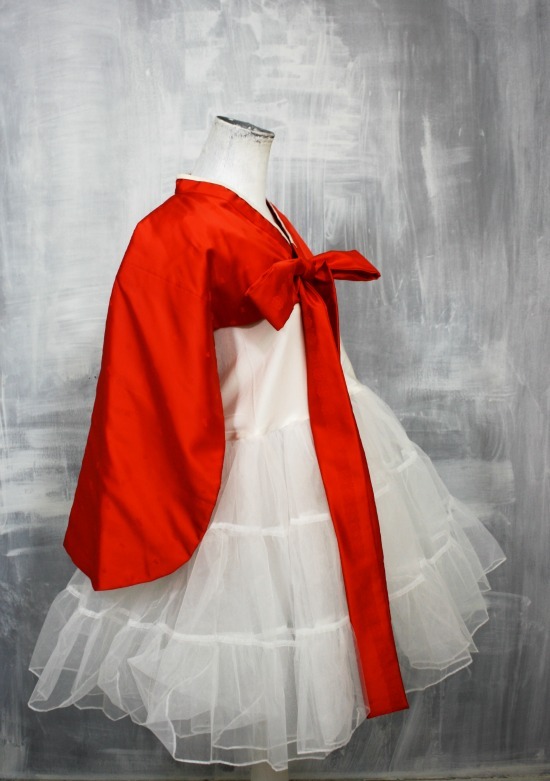 Love the pairing of jacket with tutu! Always love your writing, as you know. Gosh, love the poem and the jacket - well paired! Maybe all clothes should be sold that way.